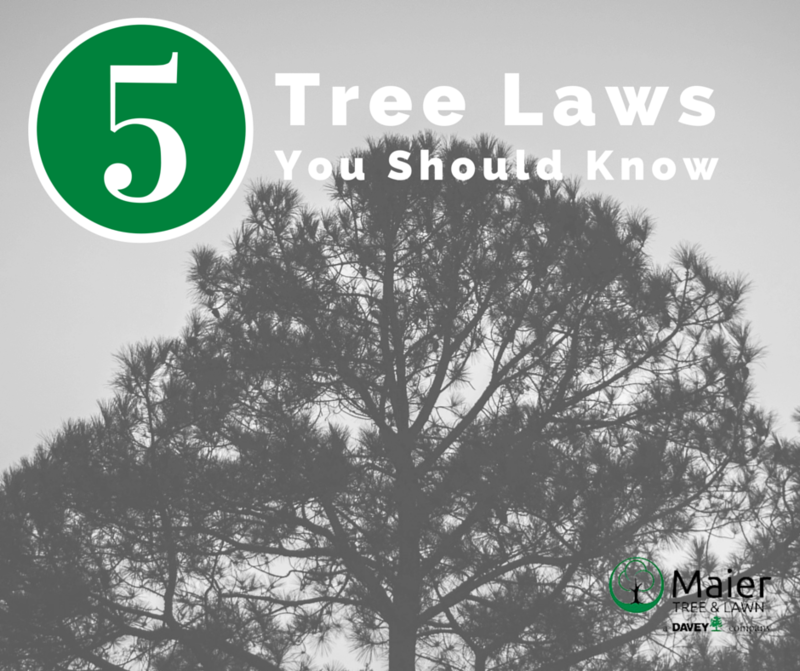 Believe it or not, there are several legal tree facts that are really useful to know. Hopefully it you are aware of these tree laws it’s not from first hand experience! Disclaimer: We are not attorneys so please don’t take these as legal advice, however we do know a few and they’d back us up. Any part of your tree that goes over your neighbor’s fence is technically theirs. Property lines extend from the ground up into the sky. Your neighbor would technically have the right to prune any portion of your tree that passes over that imaginary line, so long as it does not damage your tree. You do not have the obligation to prune it for them. Your tree has value and if damaged or destroyed by someone else, you have the right to collect damages from the person who caused the damage (or their insurance company). The industry has standard ways to appraise the value of a tree based on their size, species, location on your property, and their condition. An average medium to large tree in your front yard likely adds thousands of dollars of value to your property. Municipalities often have the right to condemn a tree that is diseased or dangerous on your property, and you would have to pay for that to be removed. Dutch Elm Disease and Oak Wilt are two such diseases that cities in the state of Minnesota have the right to condemn for the sake of managing those diseases. Trees that are unsafe can also be required to be removed for public safety. If you do not remove the tree, the City will have the tree removed and send you the bill. You do not have the right to have a view. Trees that are on someone else’s property are not yours to prune or remove for any reason (unless it extends that imaginary property line in Law #1), including getting back a view that you once had. You may laugh, but we have seen this happen more than once and it rarely ends up well. A city owns all trees in the right of way along roads. Most roadways extend beyond the curb and past the sidewalk by a few inches to a foot. Any tree in this area is not yours to prune or remove as you wish. Some cities will pretend that a tree in the “boulevard” strip is your responsibility and liability, but the reality is that they own the tree and responsibility to care for it or remove it. Check your local ordinances for specifics on this in your community. These tree laws are in place because, we truly do care about the trees! We think this is pretty cool! The folks at Maier Tree & Lawn love trees and can help you with any tree issue you may come across. Call us today to set up your consultation!